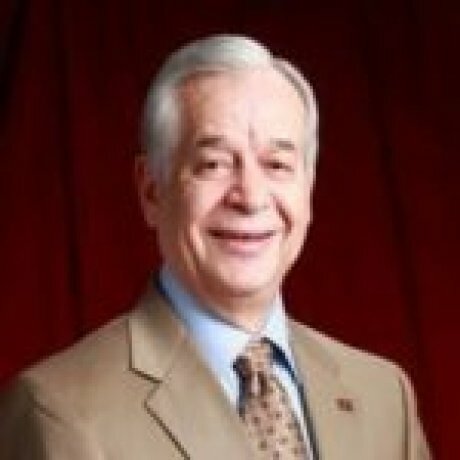 Jaime Chahin received his Ph.D. in Education Administration (1977) and MSW (1975) in Administration and Policy from the University of Michigan at Ann Arbor. He received his BA from Texas A&I (1974) and has completed postdoctoral work at Harvard (1983) and Salsburg Institute (1996) on sustainable communities. Chahin is Dean and Professor of the College of Applied Arts at Texas State University San Marcos. His principal teaching and research interests involve educational, social, and economic policy issues that impact Latino/a populations in America. Chahin serves as the treasurer of American Association of Hispanics in Higher Education and also is a member of the United States Hispanic Chamber of Commerce, Council of Economic Advisors. Chahin was executive producer of two documentaries, Mexican American Legislative Caucus: The Texas Struggle for Equality and Opportunity, a documentary film that traces the story of Tejanos and their efforts to secure their civil rights and expand their social and economic opportunities through the legislative process (2007), and The Forgotten Americans, a film about colonias that premiered on PBS (2001) and received a first-place Award from the National Council of families. In addition, Chahin received the “Ohtli Award” from the Secretary of Exterior Relations of Mexico. “Digital Divide: Impact on Hispanic-Owned Small Businesses.” With Cecilia Temponi. Journal of Small Business Strategy 14.2 (2015): 73-91. Ed. Handbook of U.S. Latino Psychology: Developmental and Community-Based Perspectives. With Francisco A. Villarruel, Gustavo Carlo, Josefina Grau, Margarita Azmitia, and Natasha J. Cabrera. Sage, 2009. “The forgotten Americans: A voice for colonia residents.” Children Youth and Environments 15.1 (2005): 319-331. “The Transmission of Cultural Values and Beliefs.” With Francisco A. Villarruel and Ruben Anguiano Viramontes. In Family ethnicity: Strength in diversity. Ed. Harriette Pipes McAdoo. Sage, 1999. “Beyond the myths: Paternal values of Latino fathers.” With Francisco A. Villarruel. Michigan Family Review 3.1 (1998). “The Contrast between the Pathological Attributes and the Status/Aspirations of Mexican American Youth.” (1996).